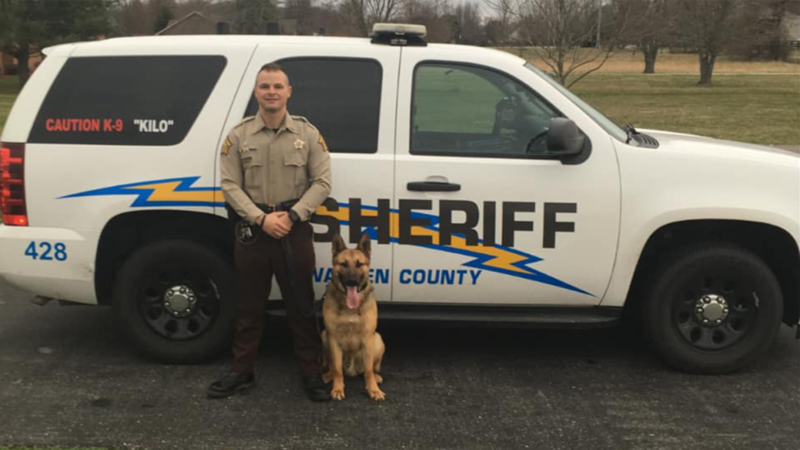 BOWLING GREEN, Ky.- The newest crime fighter at the Warren County Sheriff’s Office has four legs, a tail and one amazing sense of smell. Kilo, a German Shepherd/Belgian Malinois mix, just joined the force after going through 400 hours of rigorous training, which included narcotic detection, tracking, apprehension, obedience, agility and handler protection. Kilo’s handler is Deputy John Thompson. Kilo replaces, Kane, a sheriff’s office K-9 that died suddenly in April 2018 after authorities say the dog may have been poisoned.